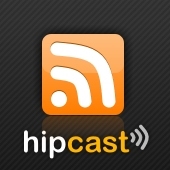 This is your regular podcast channel for Commercial Real Estate Brokerage Online. Sales, Leasing, and Property Management Coaching Podcast by John Highman, Commercial Real Estate Broadcaster, Author, Speaker. Learn the skills of commercial real estate sales, leasing, property management. Also learn about Office, Retail, and Industrial property around the World. In commercial real estate leasing, there are three specific ways you can grow your leasing business with quality clients and properties. In this program, John Highman explains how that strategy works and how you can do it too.